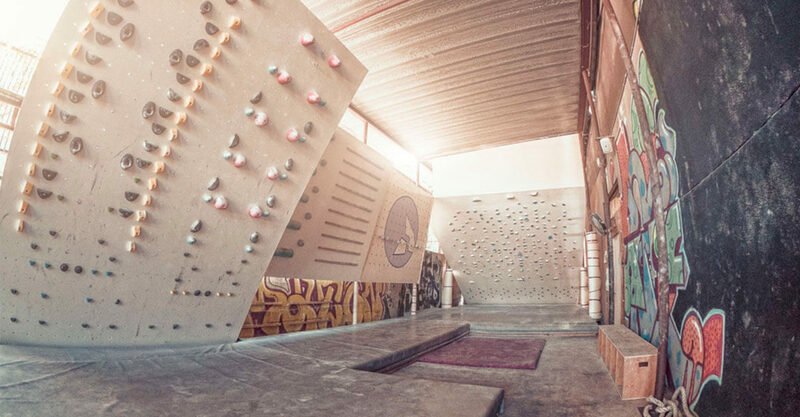 A campus board is made out of plywood and has been used by many climbers over the years. If you use this piece of climbing training equipment consistently, it can help improve your strength. Before you use this board, make sure that your hands are warmed up so that you avoid getting injured. If you are a new climber, it’s a good idea to grab the board with an open-handed crimp in the beginning. The campus board allows you to practice your grip styles. Ideal for holding onto small handholds, the full crimp puts a lot of stress on your fingers. Reduce the risk of climbing injuries by using it only when you have no other option. On the campus board, place your fingertips on the edge and curl your fingers at the second joint. Secure the crimp by placing your thumb on your index. Pull. Similar to the full crimp except the thumbs are pressed against the side of the index, the half crimp grip is less extreme. Open-handed grip could be defined as the natural hold where your fingers and palms naturally bend to hold onto the surface. Picture how you would hold a bar, a basket ball or a tennis ball. The fingers flex to best fit the shape they hold onto. Also referred to as a hangboard, a finger board is great for increasing strength in your fingers. When you hang from this board, make sure that you are using an open-handed grip and that your elbows are slightly bent. After you hang for 10 to 15 seconds, rest for a minute. Then, hang again. There are four hangs in one set. Try to do four sets of this exercise. However, if your fingers start to hurt, you should stop what you are doing immediately. A peg board is made from hardwood materials and has several holes drilled in it. Using this board can improve your upper body strength (arms, shoulders, hands and core muscles), which is important for your climbing performance. When you practice on this climbing training equipment, you use your own bodyweight as resistance. You can use the pegboard to master the perfect pull-up. Are you ready to use climbing training equipment? Using climbing training equipment can only improve your climbing performance, provided you use proper form so you don’t hurt yourself. As with any workout, mix it up so you hit every major muscle group and develop balanced strength. Don’t forget to listen to your body, and train only if you have the energy and are free of pain. Join the Grotto Climbing & Yoga lifestyle and enjoy a genuine community of adventure sports lovers.